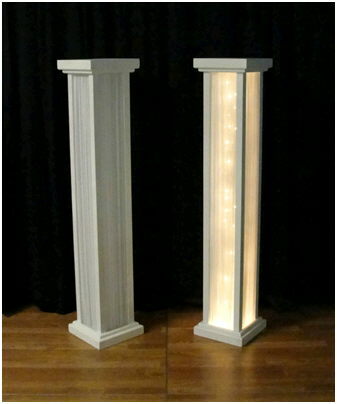 This fabric lined pillar illuminates in the center for a romantic glow to any design. Add the 48" pillar to create a tiered configuration to any backdrop. ** Please call us for any questions on our pillar 60 inch sunlight rentals in Fairview Heights IL.